FRESNO, Calif. (KGO) -- The largest wildfire burning in California is still growing. 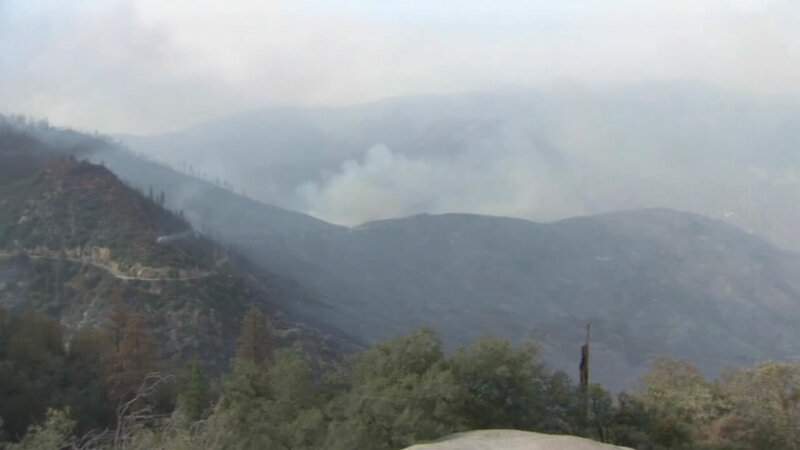 The Rough Fire, east of Fresno, has burned nearly 86,000 acres. It is creating problems this Labor Day weekend. Communities and campgrounds near the Rough Fire are dealing with extremely poor air quality. A lightning strike on July 31 set it off. Low humidity and how weather have made the fire hard to control.